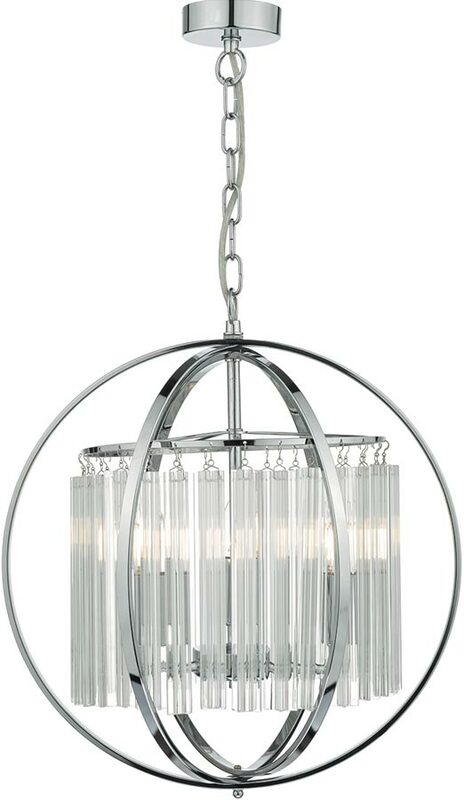 The Abdul chrome sphere 3 light pendant with crystal rods, featuring candelabra lamp holders inside a curtain of faceted crystal glass rods. 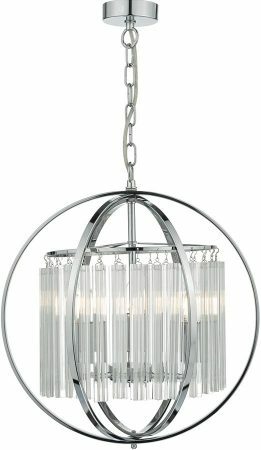 Circular ceiling mount and chain suspension supporting a three-ringed chrome sphere. 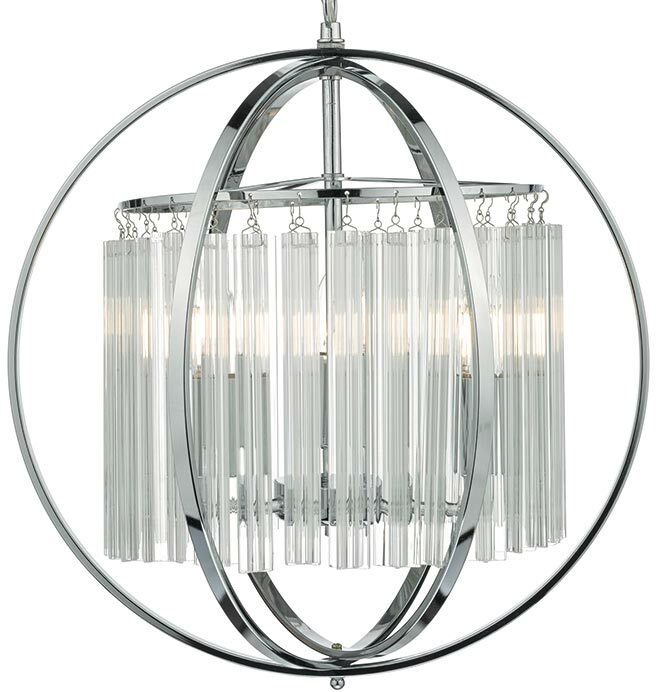 A central rod supports three candelabra style lamp holders, hidden within a circle of crystal rods that will create the most wonderful sparkling effect when illuminated. Supplied with 1m of chain that can be shortened at the time of installation.